After completing his current commitments, Dhanush will be kickstarting his new film with Vetrimaaran. Though the duo planned to start a project called Soodhadi, the director also has plans to revive his other story ‘Vada Chennai’ which was initially planned with STR. Vetri Maaran and Dhanush were supposed to begin work on Soodhadi in March last year. But Dhanush had a couple of projects to complete at that time and so, the National Award-winning director took up Visaranai, and cast Dinesh in the lead role. Now, we hear that the director is planning to revive Vada Chennai, which was written by the director much before Soodhadi. 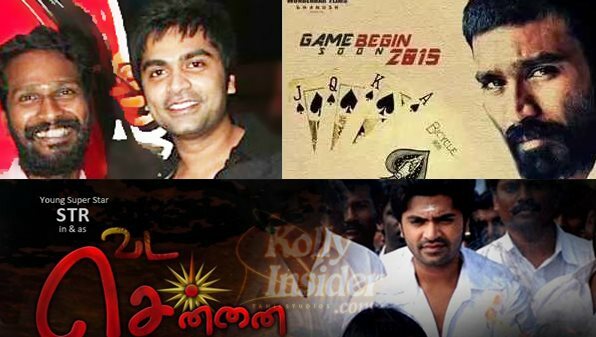 Interestingly, Simbu was in talks to play the lead in Vada Chennai at one point of time. "Vetri Maaran will soon work with Dhanush, but there is a slight change in the plan. Talks are on about taking up Vada Chennai first instead of Soodhadi. The director is yet to take a call on it as he is currently busy with the post-production work of Visaranai," says a source. We also hear that while Lakshmi Menon was approached to play the female lead for Soodhadi. Samantha, who is currently working with him in Velraj's untitled film, might team up with Dhanush, if the director opts to make Vada Chennai first. Samantha will be playing Dhanush’s girl for the second time in a row following the ongoing VIP2. When we contacted Vetri Maaran, he said, "As of now, we haven't decided on which film to take up first. We will decide that after Dhanush completes his present commitments."